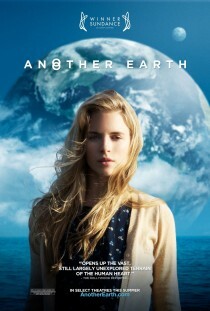 Another Earth is a low-key film which mixes life’s unexpected twists and turns and the complexities of human relationships with a dash of science fiction. The result is a superb and original drama. This small-budget film is beautiful and moving, with a great storyline accompanied by good acting. Brit Marling, in the lead role, is mesmerising. The screenplay was co-written by Marling and director Mike Cahill. At the 2011 Sundance Film Festival, the film won the Alfred P. Sloan Feature Film Prize as well as the Special Jury Prize. You can find more information on this U.S. movie on Wikipedia and IMDb. Ignore the mediocre IMDb user rating. Very nice from you to present such a beautiful film. These types of film should be more presented to the big screens and the large audience. I’ve enjoyed it a lot, great acting and great storyline as you say indeed ! Will watch it and get back to you.